Welcome to living room furniture with endless possibilities. Re-arrange with lightweight ease to suit your living space and creative imagination. Contemporary Home Cinema should be an epic experience in the comfort of your own home. Whether snuggling up as a couple, watching with the kids or just completely spreading out by yourself, the Quad couch gives you structured, big, tactile, flexible lounge options with the aesthetic beauty of a high-end designer sofa. Made with internal elastic structures to stand alone in large living rooms spaces – the quad couch looks and feels amazing, at a fraction of the cost of traditional furniture. If you’re lucky enough to have a long back wall, the quad couch can also line it with perfection and is made all the more luxurious and stylish by adding Twin Ottomans in front. 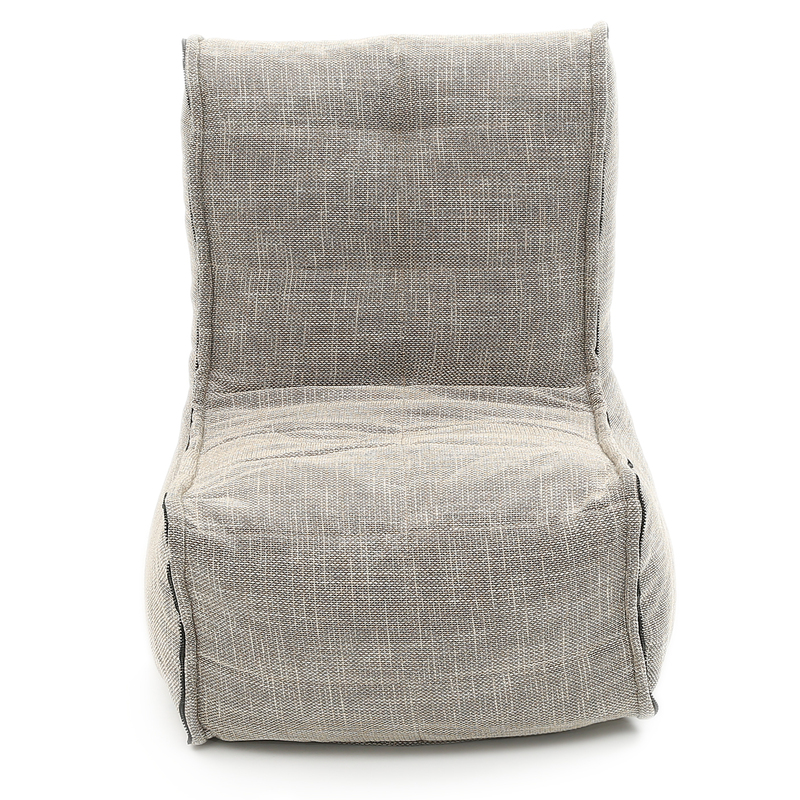 When guests arrive (that you don’t particularly want to be sitting too close to – aka the mother in law or the crazy uncle) you can break the couch into a gorgeous Twin and two supportive single seats with ease. Problem solved. Make your old heavy couch history. The dinosaur of the living room has evolved into versatile Ambient Lounge® furniture. 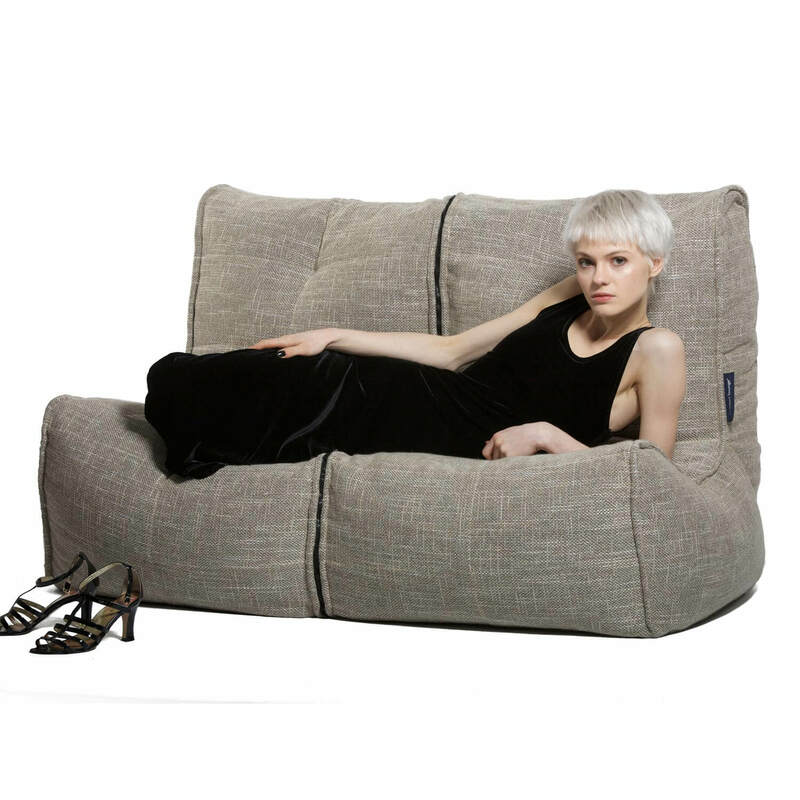 Lightweight, soft, quilted modular couches of rare beauty. This fabric is made from interwoven fibres that combines tans & creams with a subtle base of black behind it. (See large swatch) Goes well with all interior colour schemes.